Acting Vice-Chancellor, Professor Andrew Atherton has responded to student concerns over plans to extend teaching hours in the 2018-2019 academic year, seeking to assuage fears from the student body by claiming it will constitute only 1% of teaching hours. Meanwhile a Student’s Union statement expressed disappointment, and claimed that over two thousand students will be affected by later scheduled teaching hours. In July, University management announced that it would be extending the academic timetable to 7 pm as a response to an increase in student numbers and a growing lack of suitable teaching space. This was met with an outcry from the student body, with many claiming that these plans would negatively affect the lives of both students and lecturers, having the potential to impact family life, social activities, part-time jobs and mental health. The letter at first suggests that for some students and faculty members, the extended timetable could provide a ‘greater flexibility and ‘work-life balance’ and, without mentioning the affected departments, assured others that class hours scheduled to finish after 6 pm would be less than 1%. Addressing those with caring responsibilities, it is suggested that there are already processes in place to allow students to amend timetables with their departments if needed and that discussions are already in place with the University’s Pre-School Centre to assess how timetable changes may require an extension to its opening hours. The university did not take into account or consider how everyday life on campus could be affected by the expansion of teaching buildings. The ‘Redesign the Spine’ project has already divided opinion and caused issues for students and staff due to unclear diversion routes, disruption to contact hours and the completion date being pushed back multiple times. It is scheduled for completion for start of the 2019 academic year. There was also little provided to address concerns over how these extended hours would affect extra-curricular activities. Most clubs and societies tend to meet after 6 pm, and student participation in these activities could decline if students were forced to stay in lectures and seminars for an hour longer. One student said that her participation in societies is ‘as important to me as my degree,’ and that they were essential for her to take a break after a day of studying. It was also suggested that in spite of best efforts to accommodate for all student’s needs, that every option will always disadvantage some, ‘for logistical and/or pedagogic reasons,’ and that the University will attempt to address concerns voiced while continuing its plan to extend teaching hours to meet demand for lecture space. The University’s letter can be read in full below. Thank you for your email dated 14 August, which constituted an open letter to the Vice-Chancellor from a number of students and full-time officers of the Students Union. The Vice-Chancellor has asked me to reply in his absence your concerns. As such, I am writing to you to give you assurance that the University shares your concerns that any adverse effect that the change to the teaching day may have on individuals can be overcome. We remain committed to promoting and enacting equality, inclusion and diversity across both student and staff populations. We are also aware that, for some students and staff, an extension to the teaching day may provide opportunity for flexibility and improved work-life balance. We also know now, after seeing the first cut of the draft timetable, that the proportion of class hours scheduled to finish after 6pm is less than 1% and we are already liaising with those affected departments to look at ways of reducing this further still. For students with caring responsibilities, disabilities and other circumstances, there are existing processes in place which consider individual required or requested adjustments. These processes will be used to allow individuals to discuss their timetables with their departments and, where appropriate, for individual adjustments to be made. We are in discussion with the Pre-School Centre to evaluate how we might manage potential requests to extend opening hours. We also appreciate that some students have to work part-time to support themselves during study. We are looking particularly at individual student timetables in the affected areas to reduce, where possible, the number of days in each term where teaching finishes after 6pm. 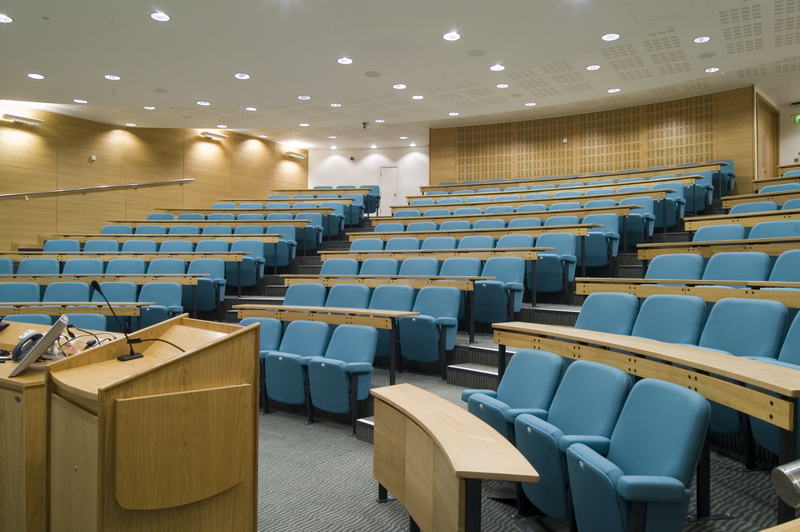 As you will be aware, the University is planning to grow its student numbers over the next few years Aligned to this planned growth is a 5-Year Capital Plan, approved by Council, to invest in both new build and significant refurbishment of teaching space, including new large lecture spaces. This capital plan will ensure that appropriate levels of investment are made in line with the expansion of the student population Capital investment, alongside other measures will go some way to addressing congestion within the timetable, but it is likely that no single measure will provide the total solution. Other areas that need to be explored include the design and delivery of the future curriculum and the further deployment of technology in teaching to facilitate more innovative delivery models. The working group will be an important channel for discussion and communication to understand better the actual effect of the extension to the teaching day during 2018/19 and to look at the best possible ways for implementing the extended teaching day in the longer-term, incorporating other changes that will influence the use of teaching space. Ahead of the working group being established, discussions have already taken place with the Students’ Union in which options to increase capacity in the timetable were explored. Some options have challenges attached to them and will not always be possible to implement, for logistical and/or pedagogic reasons, or because they will disadvantage some students.